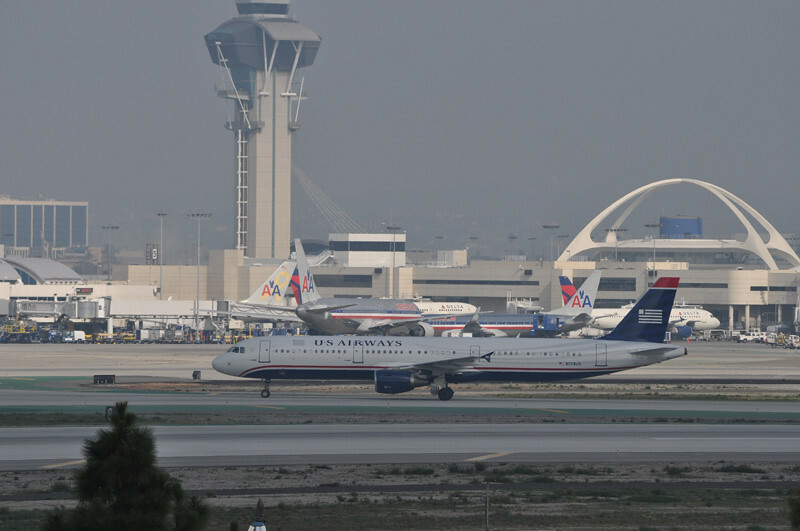 Since US Airways and American Airlines have merged, it made sense for US Airways to join OneWorld, as no way would American Airlines leave OneWorld and join Star Alliance. I’m not sure if this is good or bad right now, but in terms of miles, it could be a positive situation for us. The plan is that US Airways will have officially joined OneWorld by the start of 2014, which is not too far from now. When United and Continental became one last year, we saw both mileage accounts merge eventually, and If history serves me right, we will see our US Airways Dividend Miles merge with any American Airlines AAdvantage miles we may have, thus creating a super pot of miles (if you have a lot in both of them), which could be redeemed for some superior trips in first or business class in any of the OneWorld carriers. I recommend getting the US Airways MasterCard while you can, since they will end their relationship with Barclays. Eventually, I am sure we will see a new card under the new merged airline. The sucky part is they are leaving Star Alliance, which includes Thai Airways and Lufthansa, which have a great business class product on their A380 fleet. The cool part is, they are joining OneWorld, which has Malaysia Airlines, and they have a pretty cool First class product on their A380’s. My favorite destination is Kuala Lumpur, so I am welcoming this move. I also have racked up over 180,000 American Airlines AAdvantage miles, and I have over 250,000 US Airways Dividend Miles, which brings my total to a whopping 400,000+ miles. I even have time to accrue more, as I will apply for another Citibank AAdvantage MasterCard in my next upcoming churn. 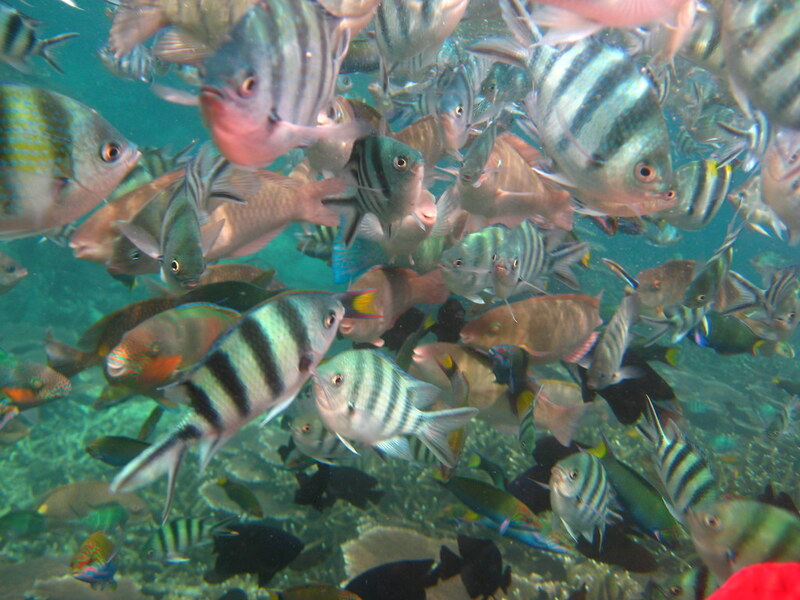 Hopefully, I will have enough miles to fly a family of 4 in business class to KL, so my daughters can swim with the fishes in Pulau Redang. So now your asking: What should I do Oz? Well, the plan is simple ; rack up as many US Airways and American Airlines miles as you possibly can between now and the end of the year. Like most of my readers, you have no status, and you are an infrequent flier, so getting miles with credit card sign-ups is your best option. Apply for the US Airways World Premier MasterCard from Barclays – the current offer is 30,000 after first use. $89 annual fee which is NOT waived the first year. Apply for the Citibank AAdvantage Signature VISA –current sign up bonus of 50,000 miles after spending $3,000 within 90 days. Annual fee IS waived first year. So there you have it – some lucrative ways to rack up some major miles before the merger and even after the merger!! More than enough for a ticket to anywhere in the world- for FREE! 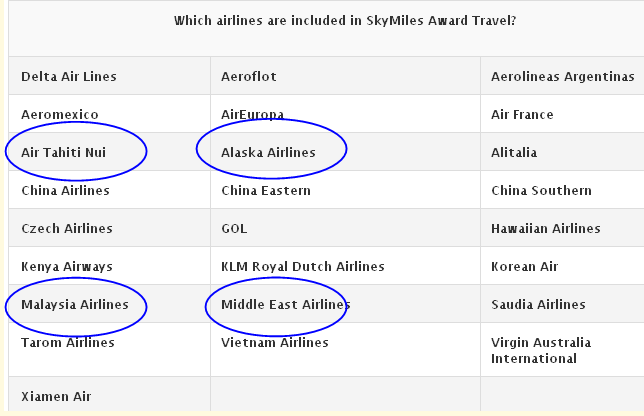 One of the most overlooked aspects of redeeming award tickets, is airline partnerships outside the general alliances. It’s sort of like the mistresses…no one knows they exist, until someone uncovers them! Well that day has come…because I am going to uncover some of them in this post. I’m going to use some of the major airlines. Let’s look at United Airlines for example. United is a Star Alliance member, meaning you can redeem your United miles on flights on Lufthansa, Turkish, Thai, and the list goes on. Just look at the Star Alliance membership chart below. 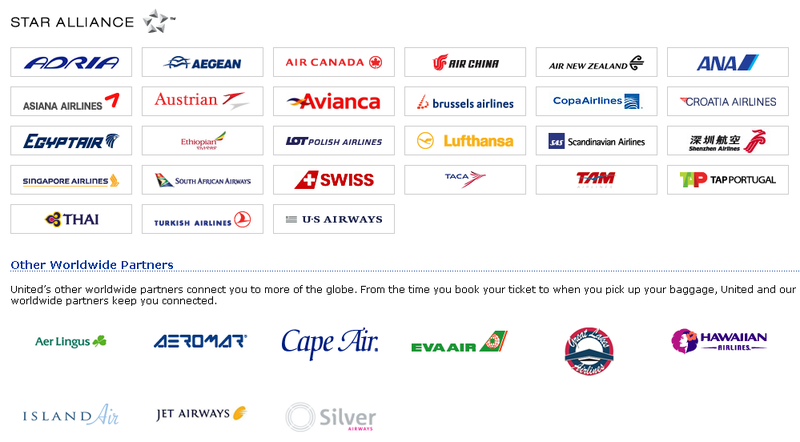 However, what is overlooked at is you can also redeem your miles on the OTHER partners….EVA Air, Hawaiian Airlines, Aer Lingus, Jet Airways, and more. It may be beneficial for you to book it on Hawaiian, rather than flying United to Hawaii, because Hawaiian has non-stop flights from SEA, PDX, SJC, where United doesn’t. You may want to consider flying EVA Air to Taipei, rather than United, simply because the time schedule and departure times are better. You just have to look at your options, but know that the OTHER partners are there and should be looked at for award redemptions. Here are some other charts for Delta, US Airways, American Airlines. 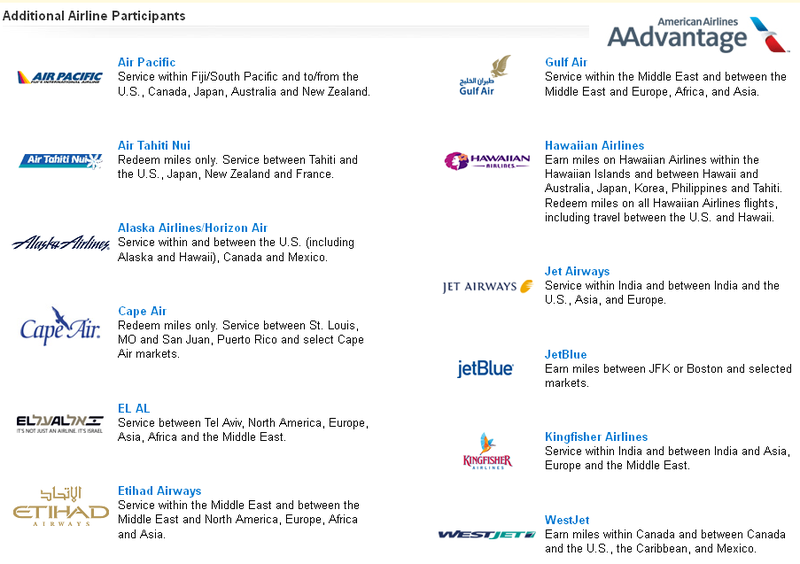 US Airways is a bit stingy though, as they wont let you redeem Dividend Miles on most of these partners below, but you may earn US Airways miles if you are flying them. American Airlines chart is even better. You can use their miles to book award tickets to Tahiti and Fiji. You can also redeem AAdvantage miles on Alaska Airlines. Non-stop flights to Las Vegas from Seattle and Portland just got easier. Delta Airlines lets you book awards on Malaysian Airlines, Alaska Airlines, and Air Tahiti Nui, for those hard to get Tahiti flights. When booking award tickets, always be aware of the other partner airlines and their routes. The agents don’t always tell you the best routing, as they themselves are human drones with a set of instructions. Heck, they don’t even know their own routing rules, much less world geography. Of course, you can always email me, and I can help you figure out the best options. Happy Travels!